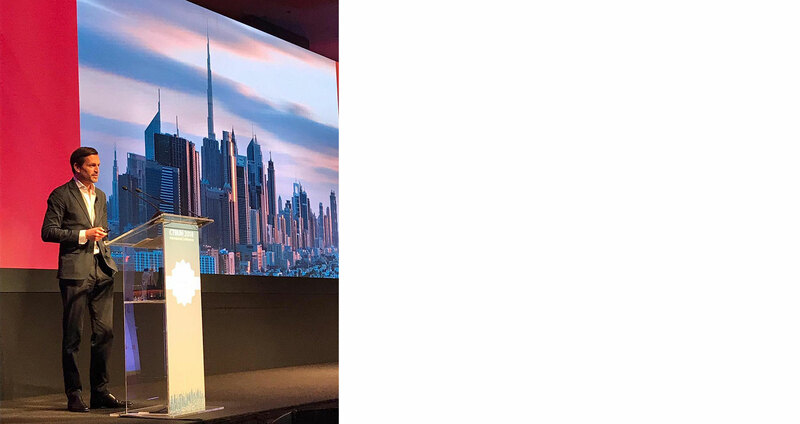 Ole Scheeren held a keynote lecture titled “The Skyscraper as a Social Organism” at the closing plenary of the recent CTBUH (Council of Tall Buildings and Urban Habitat) conference in Dubai on 22nd October. As hyper-growth increasingly calls for high-density living and working, it is important rethink the skyscraper, not as a hermetic, isolated landmark but as a building that responds to the specificities of its urban and social context. Rather than reinforcing stratification and hierarchical systems, the skyscraper needs to go beyond vertical dominance and explore spatial qualities that allow for greater social interaction and cohesion. Looking back at 20 years of exploration of alternative models for the skyscraper, this lecture examined four projects of the past (now realized) and four projects of the future (in their current state of planning and development) through 8 overarching topics relevant to tall buildings and the future of our cities.